Why can't we be friends?🍬👻🍬🎃🍬. Yesterday evening I was feeding the outdoor stray 고양이 and a raccoon came by. 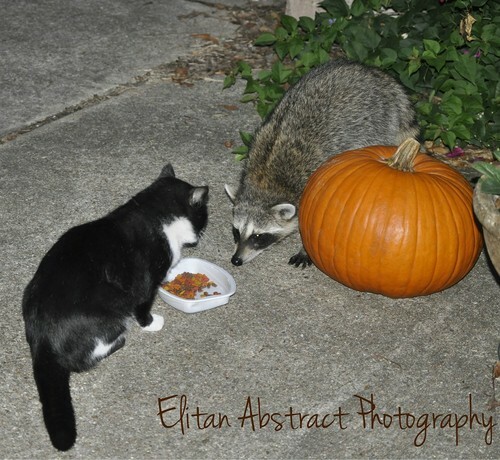 My neighbor's cat Meme decided to greet the raccoon.. HD Wallpaper and background images in the TheCountess club tagged: photo cat raccoon friends pumpkin. Thank you for allowing me to share on your page.